THE NATIONAL CONSUMER AGENCY (NCA) will become the first high-profile quango to be abolished by the new government, following plans approved by the cabinet yesterday. A new Consumer and Competition Bill given the go-ahead yesterday will see the agency merged into the Competition Authority – the first of 145 abolitions lined up by the new administration. The decision is not entirely based on the new government’s own initiative though – the former finance minister Brian Lenihan announced plans to merge the two bodies as part of a slew of rationalisations in Budget 2009. Similar plans were put forward by Fine Gael earlier in 2008, however, when the ‘Streamlining Government’ document proposed rolling the two agencies into an Office of Fair Trading. Of the 48 rationalisations announced at that time, around half have already been undertaken. The previous government collapsed before it was able to formulate legislation merging the NCA into the Competition Authority. 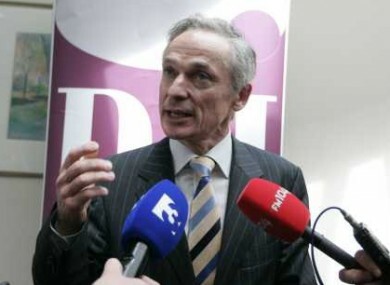 Enterprise minister Richard Bruton yesterday said the merger was a signal of his government’s “radical reform agenda” and promised that the merged agency would be “a consumer rights enforcer with real teeth”. “This new body will be a stronger advocate and enforcer against powerful interests in our economy,” he said. The merged body would also have a slimmed-down board which will save the taxpayer around €170,000 per year, on top of the reduced operational costs. The Irish Times recalls that the National Consumer Agency has not been without controversy in its brief four-year existence – paying out €14,000 a year in travel and subsistence expenses to members who attended only six board meetings a year. One of the people appointed to the board was Celia Larkin, former partner of the then-Taoiseach Bertie Ahern, who was appointed on the basis of her experience in the consumer retail markets. Email “Government cuts its first quango - under Fianna Fáil's proposals”. Feedback on “Government cuts its first quango - under Fianna Fáil's proposals”.